What makes a point-of-sale the best? What are the critical features required in any point-of-sale? Which Point-of-sale is the best in Nigeria? This brings me to my own claim, as the Head of Product Development of PrognoStore I guess I am allowed one or two claims. What makes a Point of Sale the best? Without having to go round in circles, I guess the features is the starting point. Features are what the product offers. The inherent claims of the product. The question is, is PrognoStore the best Point-of-Sale System? Having reviewed other POS systems in Nigeria, not many quality ones out there to be honest, it is easy to say yes. Here is why. PrognoStore is not just your average POS! So you never have to mess about with exporting of files and endless reconciliations between systems. It is often said that a trial will convince you. This is very true. You don't know until try it. There is no other POS claiming to be the best in Nigeria. 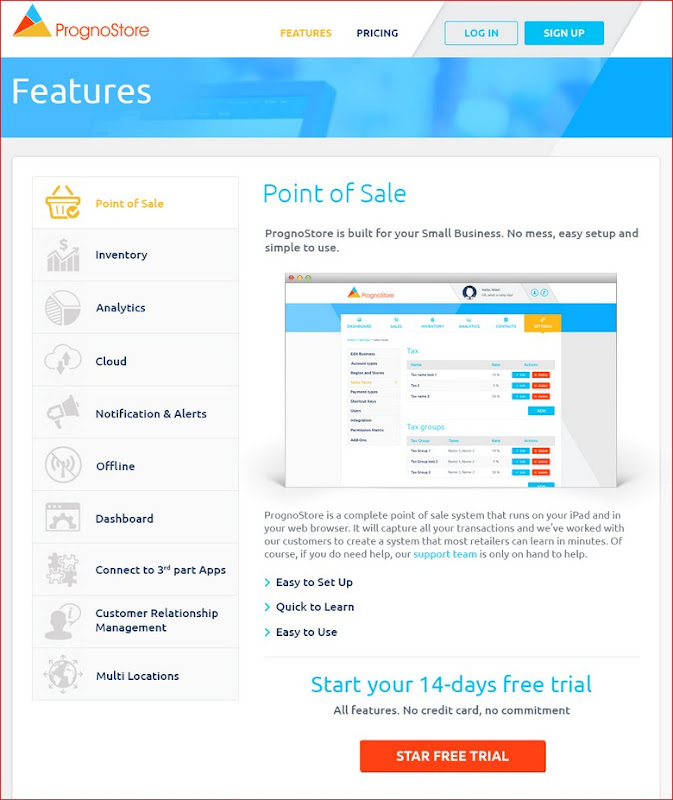 Why not sign up for a free account and review the features in PrognoStore yourself. Do you know other POS systems that you think should rank higher than PrognoStore? You can drop your comments as I will like to know about them. Sounds impressive and looking forward to it (I've signed up!). This product sure packs a punch, hope I can get to see a demonstration as soon as you roll out. please send me a quote for POS (hardware and software) for a restaurant and bar. The product is okay and it will go a long way to solve problem faced by small scale retail business owners. Boromax Global Limited In Collaboration With C. B. N, For More Information And Enquiry Contact +2348030774148, We Offer Pos Machine On Affordable Price With Warranty, Become The MD/CEO Of Your Own Mobile Bank And Make Millions on it. We Also carry out servicing free as well. The fees are for the terminal and maintenance so you can look at it as a “pay small small” option for owning a POS. The application form requests the full business name, the business owner account number, the business email address, phone numbers and other minor details, and processing takes 72 hours and Pos machine is delivered to customers not less then 1 week from booking time. (we have one of the fastest processing in the market and our agent will come within 48 hours if you have any problems). For more information and enquiry contact +2348030774148, Office Address: A12 Intercontinental Shopping Plaza, Plot 507 Idimba Str. Zone3, Wuse, Abuja, Nigeria.